Sifu Schroder has trained in Martial Arts since age 12. He began his training in Tokong Moosul under Grand Master Yi in 1982, where he earned his red belt before Master Yi returned to Korea. He began training in Chinese Kenpo in 1989 under Michael Abedin, earning his 2nd Degree Black Belt from the National Chinese Kenpo Karate Association in 1999. Sifu Schroder currently holds Black Belts in three systems: 2nd Degree in Chinese Kenpo Karate, 4th Degree in Lung Chi Quan Kung Fu and 3rd Degree in American Kenpo Karate. 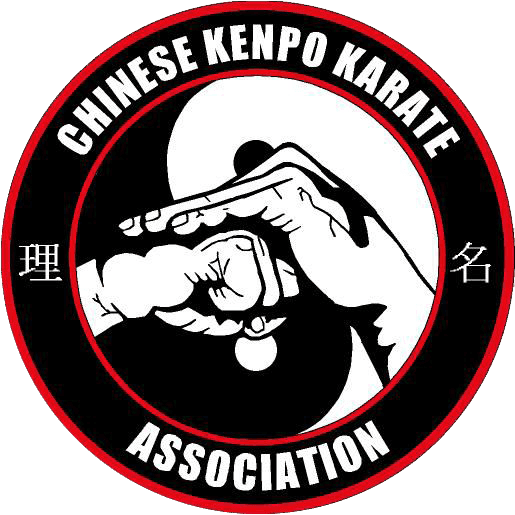 In 2000 Sifu Schroder established the Chinese Kenpo Karate Association so that he could teach and develop his own style of Martial Arts free from political restraints. Sifu Schroder has been a long time student of Kung Fu, and under the instruction of Grand Master Russell Shores, a 10th Degree Black Belt in Long Chi Quan Kung Fu, was promoted to 3rd Degree Black Belt in 2002. Eager to learn and advance his fighting style, Sifu Schroder branched out into American Kenpo Karate. Training directly under Professor John Sepulveda, founder of the American Kenpo Training Systems, he is now working toward his 4th Degree Black Belt. He also has a passion for Jiu-Jitsu, incorporating Joe Morea’s fighting system into his curriculum. Mr. Schroder took over Austin Kenpo Karate in 1997 and has developed it into the fun, energetic, disciplined school it is today. Mr. Schroder loves working with children and many of his advanced ranks began in the children’s program and have been training with him for over 10 years. In 2004, after many requests from his students who are also parents, he incorporated a youth program (ages 5- 7). Although the children learn the same curriculum as the juniors and adults, the younger children have flourished under his tutelage. This is due to Sifu Schroder’s strict guidelines for the class, allowing only 25 students to be enrolled in the youth program at one time, unlike many of his competitors who allow 2 to 3 times that number. Children also need encouragement and discipline in order to develop their full potential; Sifu Schroder’s passion for teaching and his ability to relate to his students have made his curriculum a great success. Mr. Baker was born in 1959 and began training in the martial arts at the age of 15. Mr. Baker, a former Marine, has developed expertise in many different kinds of martial arts, including: Kenpo, Tae Kwon Do, Muay Thai, kickboxing, Jujitsu, and Krav Maga. Mr. Baker’s extensive Kenpo training in California and Texas includes instruction from prominent teachers, like the Flores Brothers (first generation black belts under Senior Grand Master Ed Parker), Tommy Chaves, Larry Tatum, Frank Trejo, and Sifu Schroder. Mr. Baker also trained in Hawaiian Kenpo under one of Bill Ryusaki's black belts. Mr. Baker has been training at Austin Kenpo Karate since 2012. Mr. Baker’s teaching emphasizes practical application, hands on sparring, and mental toughness. He is a dedicated practitioner who embodies and helps his students realize the deep physical and mental benefits of Kenpo Karate.